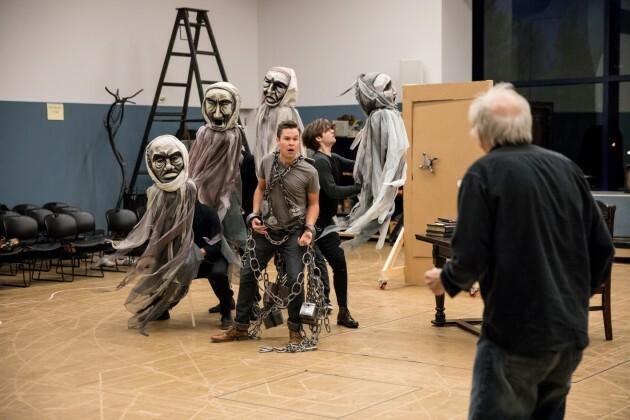 They've been hiding in storage at the Guthrie Theater for years but the Spooka Mooka heads have returned to haunt the current "A Christmas Carol." Originally created in 1994 by Chris Sibilia, who's now a master carpenter at the theater, the Styrofoam-headed puppets were then used to represent the "surplus population" Ebenezer Scrooge says would be better off dead. They went into storage -- which is where they got the Spooka Mooka name -- but they're being pulled out this season for a new role, accompanying the ghost of Jacob Marley (played by John Catron) when he shows up to haunt his old friend, Scrooge. Touched up by Guthrie prop artisan Nick Golfis, the Spooka Mooka heads have also been re-named by this year's "Carol" director, Lauren Keating, who has dubbed them "the Dementors" for their resemblance to the creatures who feed on human happiness in the Harry Potter world.